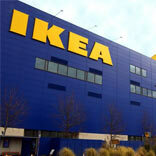 Ikea is set to make an India entry. Will it finally be able to do so? Speculations with respect to Ikea making an Indian entry have been making rounds ever since the relaxation of the FDI norms came through and even before that. The first attempt came along when 51 per cent FDI was allowed in single-brand retail. But deterring from the plan to enter Indian shores, it pulled out. It has been six months since the government allowed 100 per cent foreign direct investment (FDI) in single-brand retail. When we talk of retail biggies who would invest in India, Ikea falls under the top names. Mikael Ohlsson, Chief Executive, Ikea met Anand Sharma, Indian Commerce Minister last week at a conference in St. Petersburg, Russia. The announcement came after this meeting took place. Ikea with a plan for the next 15-2o years, have submitted an application request with the Secretariat for Industrial Assistance (SIA) through its advisor Titus and Co Advocates. Investment up to the tune of Rs 10,500 crore will be infused to set up 25 stores across India. The company wishes to establish a fully owned subsidiary in India. The investment will be made in two stages, with €600 million being invested in the first part, followed by a €900 million infusion later. They aim to make available high-quality products at a low-price. What is still itching the brand is the sourcing requirement wherein they need to source 30 per cent of the products from the small and medium enterprises (SMEs) which have a total investment in plant and machinery not exceeding USD one million. Looking at the larger picture, it does not seem very feasible to them. They believe that when they will work together with the small enterprises, the business given to them will increase their revenues which will go over the 1 million mark. This is where the trouble will begin for them. Changing vendors every now and then will adversely affect the brands product quality, supply chain processes, costing and as a result the revenues to be generated by them. Also this will affect the small enterprises as they will lose out on business and may drive them to the edge to shut down. As a result, unemployment will also shoot up. Ikea has proposed that the calculation of the 30 per cent for sourcing, be done for cumulative periods of 10 years of operations starting with the approval of the present application. Presently, the company works with 70 suppliers and 1,450 sub-suppliers in India. The proposal that has been send to DIPP needs a go ahead from the Cabinet Committee on Economic Affairs, as the investment exceeds Rs 1,200 crore. Discussions with the MSME have also begun to consider the relaxation. It is now a wait and watch situation to see how the government works around the proposal. The relaxation can bring along other retail biggies to the Indian soil as well considering the benefits it can reap from the strong Indian market. Will it or will it not is the question everyone is battling with.